Illinois State announced this month that 71.5 percent of 2007 freshmen graduated within six years, a record high. 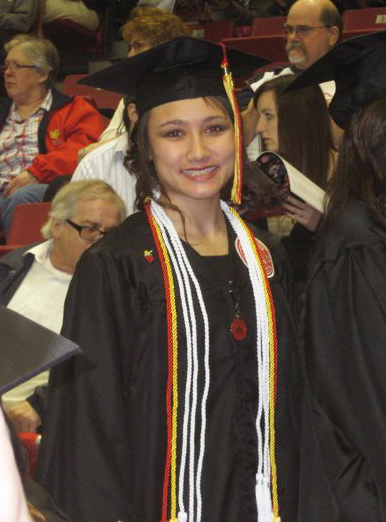 As a first-generation college student, Nena Woo ’11 had a lot of questions about coming to Illinois State, starting with her very first trip to campus for an open house. From Day 1, Woo was impressed by a campus culture that always made her feel welcome, and proved to her that there was no such thing as a stupid question. In her four years here, Woo took advantage of all that ISU had to offer—learning from inspiring professors in the top-notch public relations program, exploring the country on civic field trips, and flying high as a Gamma Phi Circus performer. As much as she jokes today about wanting to come back for another year just for fun, the Bradley-Bourbonnais native wanted to graduate on time. And she did. Woo was far from alone among her peers from the freshman class of 2007. Just this month, ISU announced that 71.5 percent of those 2007 freshmen graduated within six years—the highest on record, and among the top 10 percent of all U.S. universities. The graduation rate also rose specifically for black and Hispanic students. For new alums like Woo, graduating on time means lower student debt and the ability to start earning sooner. 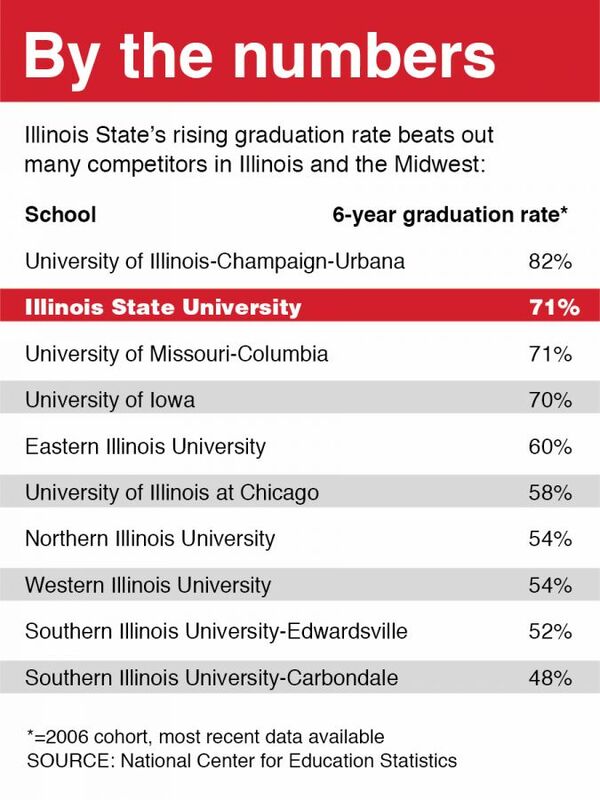 But Illinois State’s rising graduation rate also means bragging rights for older alumni too, in part because a school’s ability to graduate students on time is a major factor in national rankings. It’s also good news for competitive Redbird alums. ISU’s graduation rate last year—the most recent year for comparable data—topped every “directional” school in Illinois (Northern, Southern, Eastern, and Western), plus other competitors like DePaul and University of Illinois at Chicago. The graduation rate for 1992’s freshman class was, by contrast, just 52.6 percent. Even today, the national average is only 56 percent for public universities. Illinois State alumni should be proud of the upward trend, said Jonathan Rosenthal, associate provost for undergraduate education. So how did ISU do it? It’s a combination of increased academic standards for incoming students and retention efforts for students once they’re on campus, Rosenthal said. The average ACT of the 2013 freshman class was 24, with an average high school GPA of 3.41 on a 4.0 scale. Rosenthal credits on-campus resources like the Julia N. Visor Academic Center and the Success 101 program for helping raise the bar on graduation rates. University College’s Visor Center offers tutoring and one-on-one writing and other coaching, while Success 101 mentors at-risk students with hands-on intervention services involving departments across campus, Rosenthal said. “There’s lots of evidence that’s been successful,” he said. Nena Woo at her 2011 Commencement. Woo used Visor services a lot. She was also part of TRiO/Student Support Services, a program for those who are traditionally under-represented in post-secondary education, such as first-generation students like her. TRiO was an “amazing” experience, said Woo, recalling her spring break trip with the group to the Mississippi Delta, where she helped paint a homeless shelter and visited a civil rights museum. “It’s a strong little community of students who could sometimes use some extra guidance while in college,” Woo said. All those experiences, plus some helpful advisers, kept her on track for graduation. After working for a few years in the Office of Admissions, Woo is now interning with a global public relations agency in Chicago. Woo credits her relationship with an alumni mentor with helping boost her young career. It’s relationships like those, in addition to financial support, that show alumni play a big role in shaping the academic success of today’s students, said Jerry Kerber ’74, president of Illinois State’s Alumni Association. The new record-high graduation rate “speaks volumes to the institutional quality that our students are getting,” Kerber said, citing the small class sizes and student-to-faculty ratio of 19:1. “This shows alumni what’s going on within their University, and that anything they can do to help is worth their time and investment, because we’re showing the results right here,” Kerber said. Kerry Shanahan shows off her Redbird pride in her Chicago classroom. Graduating on time also means students leave with lower debt and start earning sooner, said Troy Johnson, Illinois State’s associate vice president of enrollment management. Less debt also means graduates are better able to pay off their loans. More than 96 percent meet their loan obligations. That includes alums like Kerry Shanahan ’11, who was also part of the 2007 freshman class. Shanahan grew up in Naperville and always knew she wanted to teach. It was in her blood—her mom and aunts were all teachers—and she got some practice teaching lessons to her stuffed animals as a kid. The elementary education major got a job as a special education interventionist as soon as she graduated. She’s since earned her master’s degree in urban education and is now part of the elite Academy for Urban School Leadership staff that’s turning around Chalmers Specialty School in Chicago, which was closed last year and reopened this year as Chalmers School of Excellence. Chalmers is located in Chicago’s North Lawndale neighborhood, with most of her fourth-graders from low-income families; 40 percent of her students live in homeless shelters. Shanahan is proud of her degree because she uses it to motivate her students, to show them that college is possible if they work hard. 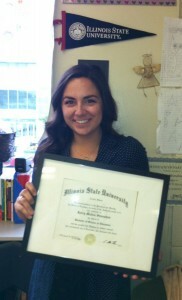 ISU pennants hang all over her classroom, and she gives out ISU pencils as rewards. “I want everyone to know that I’m a Redbird,” she said.